From April 11 through April 13, Portland, Oregon will once again turn into a hot spot for The Great Old Ones to get together and feast upon their followes. That’s right, it’s the 19th annual H.P. 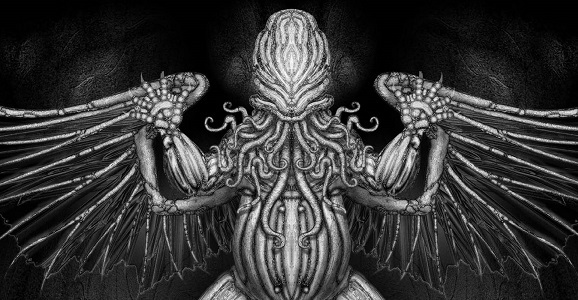 Lovecraft Film Festival & Cthulhu Con. Dubbed the “Year of the Witch,” part of the focus of this gathering will be on Lovecraft’s short story, “The Dreams of The Witch House.” This is the second year that founder Andrew Migliore has taken to Kickstarter in order to enlist fan’s help to make the festival better than ever. And it looks like they’ll be doing just that, as the project has taken in over $17,200, a tidy some considering their original goal was $12,000. That doesn’t mean they’ve hit a ceiling and shouldn’t still be helped, however. They have a series of stretch goals being worked out, as well as a steady slew of reveals occurring as they bang out all the details. If you’re lucky enough to either live in Portland, or will be attending the festival this year, you can see that your money is going into the right hands, or tentacles. The Film Festival, as it has in the past, will host both rarely seen Lovecraftian features and independent short films. Vernon Sewell’s 1968 thriller The Curse of the Crimson Altar (starring Christopher Lee and Boris Karloff) will headline, along with the U.S. premiere of David Cholewa’s oddball creature flick Dead Shadows. The Con itself features a group of guests who have all dedicated part of their lives to furthering the Mythos. The guests of honor are Kenneth Hite, who has written and created a huge number of role playing games, both Lovecraftian and sci-fi in nature; and Allen Koszowski, the wildly talented artist who has seen thousands of his pieces used in magazines and books over the past 40 years. There are also a mess of other artists, authors, and editors scheduled to make appearances, including returning guest Sandy Peterson, creator of the Call of Cthulhu RPG, who will actually play a game with whoever donates enough moolah. Also on hand will be Cory Goodfellow, author and Perilous Press editor-in-chief, who wrote and scored the short film seen below. There is a monstrous list of rewards for donors, including everything from hoodies to old time newspaper obituaries and original woodblock prints. You can even score a walk-on part on a radio play performed by the H.P. Lovecraft Historical Society. But there are a lot of other things here as well. Just go to the Kickstarter page to see them all, and check out the promo video below. You’ve got two more weeks. Use them wisely.